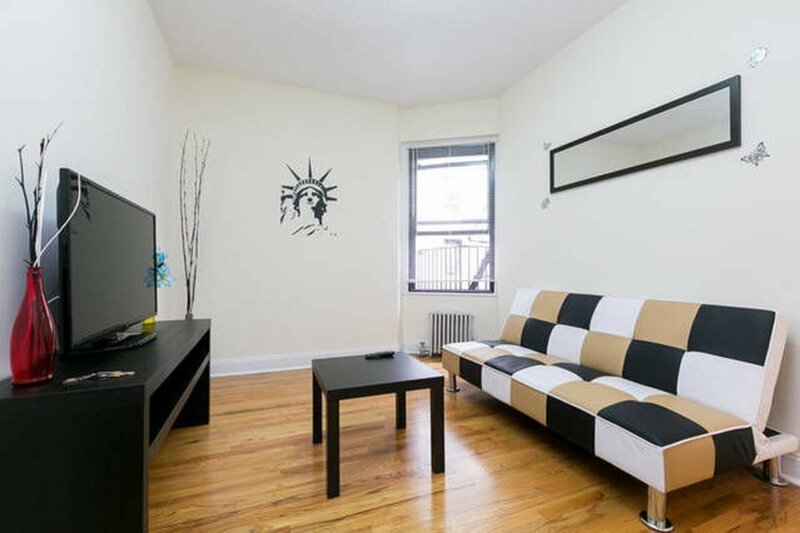 New York is a big city & you deserve an amazing space in the middle of it all! Just 10 minutes away from Manhattan you will be in a center of everything you will need. Right in the heart of Astoria, you will be steps away from the N and W trains and get in to Manhattan in 10 minutes. The apartment is equipped with full kitchen, dining room, living room, bathroom and two bedrooms (both with air conditioner during summer time). The unit has WIFI, 42 inch Flat Screen TV and fully loaded with all the things you might need. In preparation for your stay, the apartment will be cleaned and stocked with fresh towels and linens. The apartment receives plenty of sunlight. It is completely private apartment and 6 guests max. for this apartment. Ideally suited for group visiting New York for business, holiday, entertainment and sightseeing, who'd like to enjoy the best the city has to offer. Optionally, a 5th and 6th guest could comfortably sleep on sofa bed in living room and airbed. It is the fun neighborhood that everyone comes to because it is filled with affordable cool and trendy restaurants, cafes, bars, hip clubs, shopping, coffee shops, live music venues, gyms, and avantgarde theaters & operas. Pretty much anything you could want you can walk to. The neighborhood is quiet and very safe. Even though you are in a quiet and beautiful neighborhood, you are only 10 minutes from Manhattan, 10 minutes from LaGuardia Airport and 20 minutes from JFK. Astoria is one of the best neighborhoods in Queens.